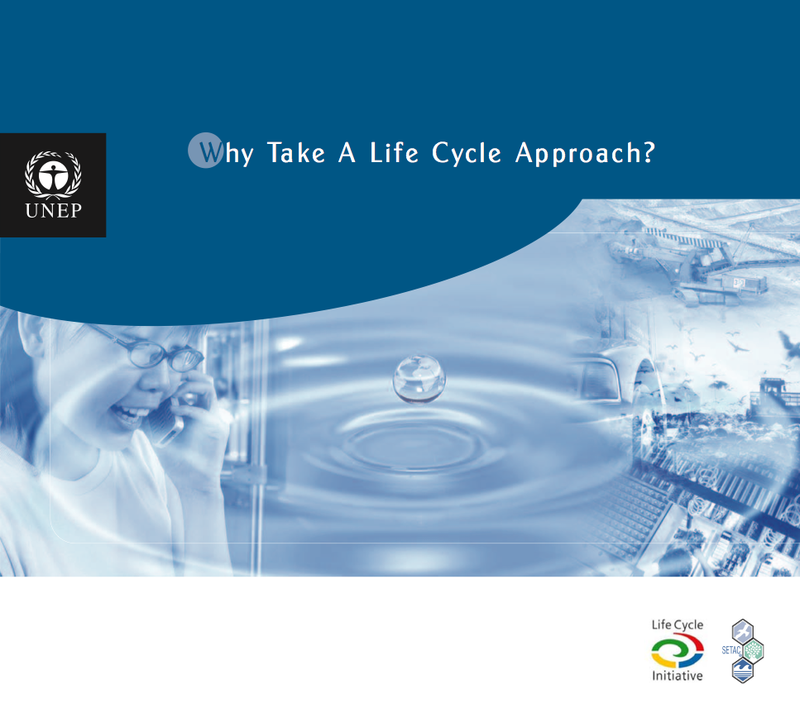 The Life Cycle Initiative is pleased to provide the life cycle community worldwide with a series of training materials which focus on life cycle management and some specific tools such as (environmental) life cycle assessment. 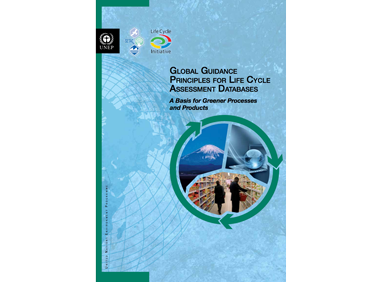 The materials produced include, where possible, handbooks for trainers and examples on what and how to implement a life cycle approach. They were produced by internationally acknowledged educational organizations. An introduction to the basic concepts of water footprint, designed for a non-expert public. 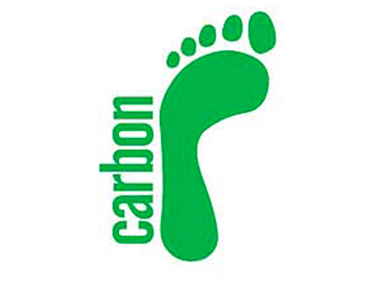 The module presents different types of water footprint metrics and the pros & cons (TBC) of theses metrics. Advanced training material for LCA practitioners, describing past and current methods and focuses on a life cycle based approach. Extensive descriptions of calculation methods of the impacts of water use and water consumption. The aim of the LCM-CMM is to focus on capability development and implementation to fully operationalize and mainstream Life Cycle Assessment in product development, marketing, and strategic decision-making in business. the training slides and accompanying worksheets for in-class exercises. Authors: Maite Aldaya, Derk Kuiper, Jason Morrison, Rita Schenck, Peter Schulte, Erika Zarate. “Water footprint assessment, policy and practical measures in a specific geographical setting”. UNEP and Water Footprint Network. “Corporate Water Accounting – An Analysis of Methods and Tools for Measuring Water Use and its Impacts”. UNEP and UN Global Compact CEO Water Mandate with the Pacific Institute. “Mapping Initiatives on Corporate Water Disclosure”. UNEP, the CEO Water Mandate and the Global Reporting Initiative. Description: The Life Cycle Management Navigator is a capacity building guide and decision support tool specifically designed for corporate decision-makers in small and medium sized enterprises (SMEs) worldwide. It aims to assist them to manage the growing demand and expectations in the field of Life Cycle Management. 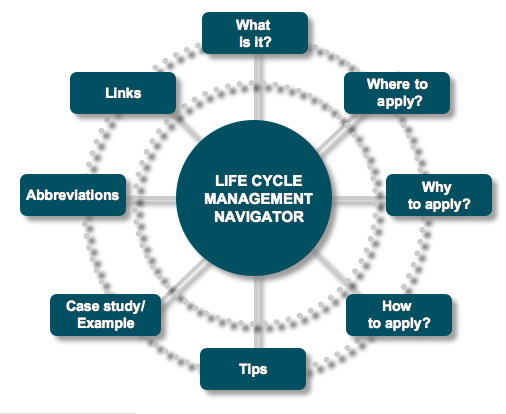 Using the Navigator helps to gain an understanding of the appropriate selection, adoption and usage of today’s most important Life Cycle Management tools. Description: This report analyses the different ways for quantifying and accounting for water flows and productivity within the economy (including environmental needs). Based on data from the literature, the report provides the current state of knowledge of the different indicators and tools for quantifying water productivity and highlights why this is important for developing robust allocation and management systems that preserve the natural capital. It is therefore an important piece of work to inform the discussions on decoupling economic growth from water use and impacts and the debate on resource productivity indicators going beyond GDP and carbon that underpin a green economy. The report focuses on two main elements: 1) the conceptual background and knowledge on how water use puts pressure on the environment; 2) methodologies to quantify water availability and use and how this influences ecosystems. Description: The document provides guidance principles for Life Cycle Assessment (LCA) databases; this includes how to collect raw data, how to develop datasets and how to manage databases. The publication also addresses questions concerning data documentation and review, coordination among databases, capacity building and future scenarios. Primary authors: Reinout Heijungs & Helias Udo de Haes of CML, Leiden University, the Netherlands. Secondary authors: Philip White & Jay Golden, School of Sustainability, Arizona State. 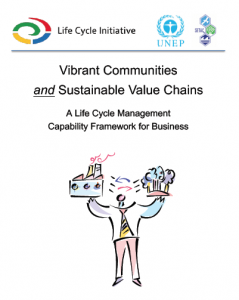 Published: 2007 Description: The LCM Training kit is based on the work of the UNEP/SETAC Life Cycle Initiative task forces on Life Cycle Management. Life Cycle Management aims to minimize the environmental and socio-economic burdens associated with product or product portfolio throughout its entire life cycle and value chain. This training kit consists of 4 parts and more than 700 slides (from an introduction, through how to use LCM and to communicate on benefits, to the presentation of stakeholders expectations). It also illustrates how businesses are putting life cycle thinking into practice. Description: In 81 slides, this tool provides an introduction to sustainability and life cycle thinking before explaining life cycle management in several steps: integrated management systems and tools, life cycle based design and product development, communication of life cycle information, stakeholder relationships, economic aspects in LCM, and process LCM. It also provides examples of applications of these aspects in life cycle management.